Orchid Has No Roots? What Do You Do? Thank you for your newsletters. It is wonderful to hear from you (even if it is in these circumstances)! Can you believe we’ve known each other for almost 4 years now! Where has the time gone? I want you to get this Cattleya thriving again so I’m going to share a few tips I think will help your orchid grow new healthy roots. It’s a good sign that the leaves are still in rather good condition considering the root health. An orchid with minimal to no roots is worrisome, but we have lots of tricks we can try to get it to sprout new ones. In fact, my wife has been in this exact predicament with several of her rescue orchids. Root rot can happen so quickly sometimes. 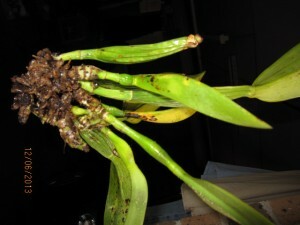 The good news is that you can still save an orchid with few to no roots!  It can be a bit of a challenge and this will certainly test your patience, but the reward of seeing your orchid thrive again will be well worth it! So what do you do if you find an orchid with no salvageable roots?